Southwest Travel, Travel in the U.S. This post contains affiliate links, which means I may receive a commission on any purchases made through clicks. All of these opinions are 100% my own. Austin new children’s museum, The Thinkery, takes hands-on exploration to the next level. The museum’s exhibits revolve around STEAM (science, technology, engineering, arts, and math). There’s a Kitchen Lab where food meets chemistry, a Light Lab where children can explore color, light, and shadows, and Spark Shop where families discover aerodynamics. It’s the perfect spot for children to learn through play. Zilker Park is a must visit destination for families. 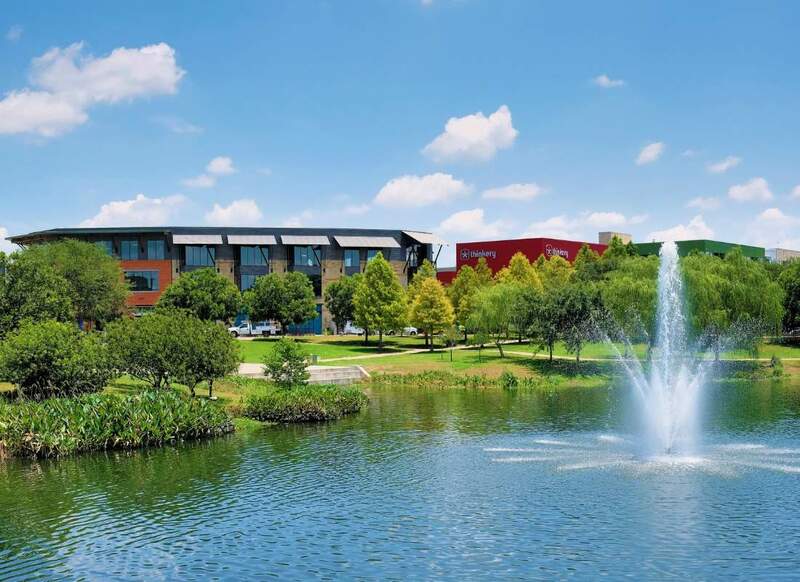 The park covers over 350 acres in the middle of the city and offers endless outdoor adventures. 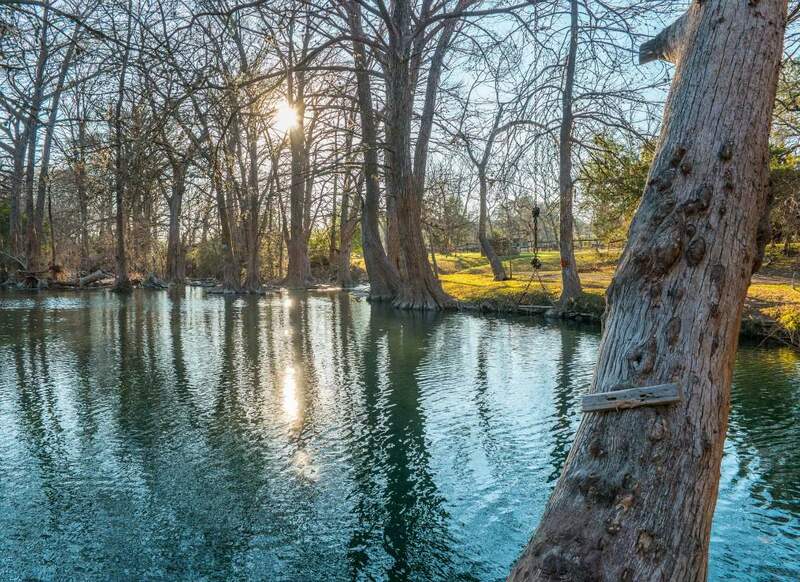 There’s a hiking/biking trail, an outdoor pool fed by a natural spring (Barton Springs Pool), kayaks and canoes for rent, and even a miniature train (the Zilker Zephyr). Zilker is also home to a botanical garden, Austin Nature and Science Center, a sculpture garden, and theatre. Plan on spending half a day at the park. Kids will love swimming in this natural pool. 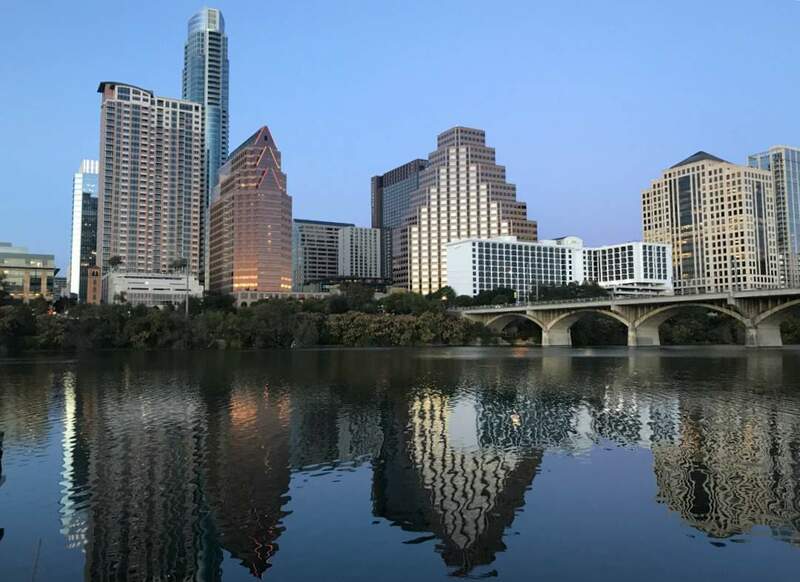 The largest urban bat colony in the world can be found in Austin (1.5 million Mexican free tailed bats to be exact), and most of them make their home beneath the Ann W. Richards Congress Avenue bridge. Bats usually emerge from under the bridge most evenings and create quite a scene (this is weather and time of year dependent). If you choose to base yourself near the bridge near nightfall, bring something to protect yourselves from falling guano. Other options are kayaking, riding a Segway, or taking a boat ride to see the bats from a different point of view. The bridge is the best place to spot the bats. 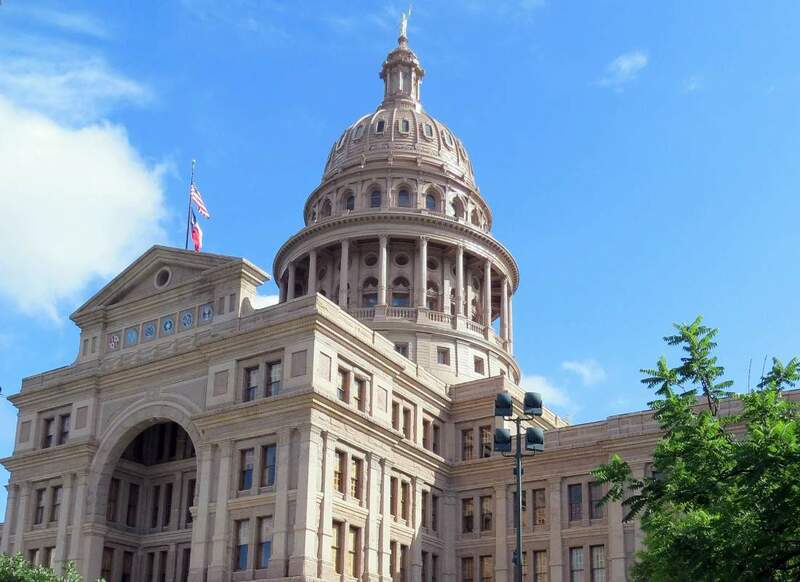 The Texas State Capitol is a sight to behold as it is the sixth tallest state capitol in the U.S. and larger than the capitol in Washington, D.C.. Inside is just as stunning and free tours are offered daily, departing every 30 to 45 minutes. It’s the perfect way to introduce older children to the legal system as they have an opportunity to view the Supreme Court and the Senate and House chambers. Bring your camera to take in the beautiful architectural details inside and out! South Congress is perfect for strolling, eating, and getting a taste of Austin character. 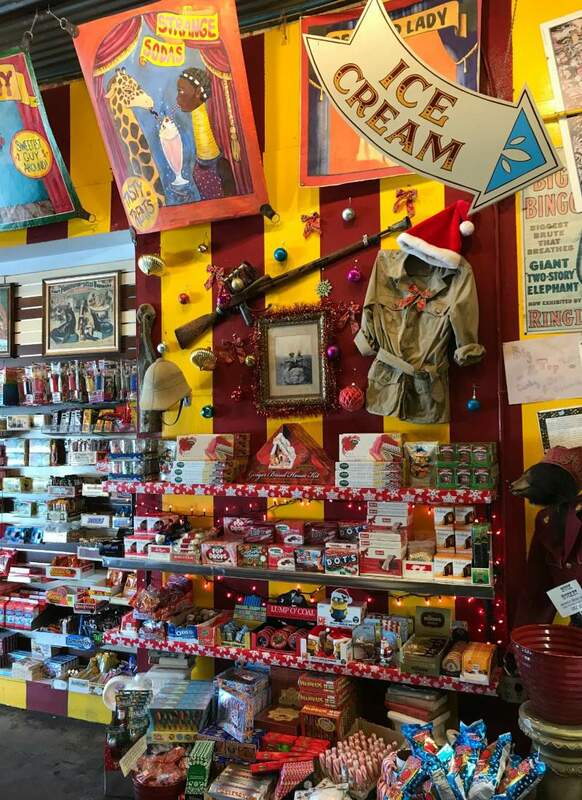 Kids will love the Big Top Candy Shop with treats from floor to ceiling, playing outdoor games at TOMS shoe and coffee shop, and playing dress up at Lucy in Disguise with Diamonds (a costume shop). 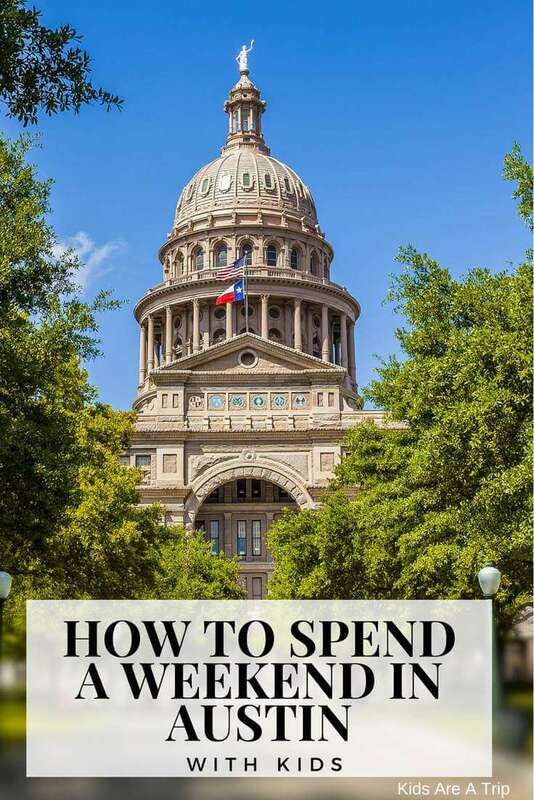 Of course there are plenty of fun spots for mom and dad too, like Allen Boots (a chance to grab the perfect Texas souvenir) and Jo’s Coffee Shop with its delicious coffee and prime location for people watching. Don’t miss Big Top Candy Shop! Of course I need to mention South Congress has some of the most amazing food options in the city. Kids will love Home Slice for its massive pizza slices, Torchy’s Tacos (an Austin staple), and Hopdoddy Burger Bar (where the lines always seem out the door and down the street). 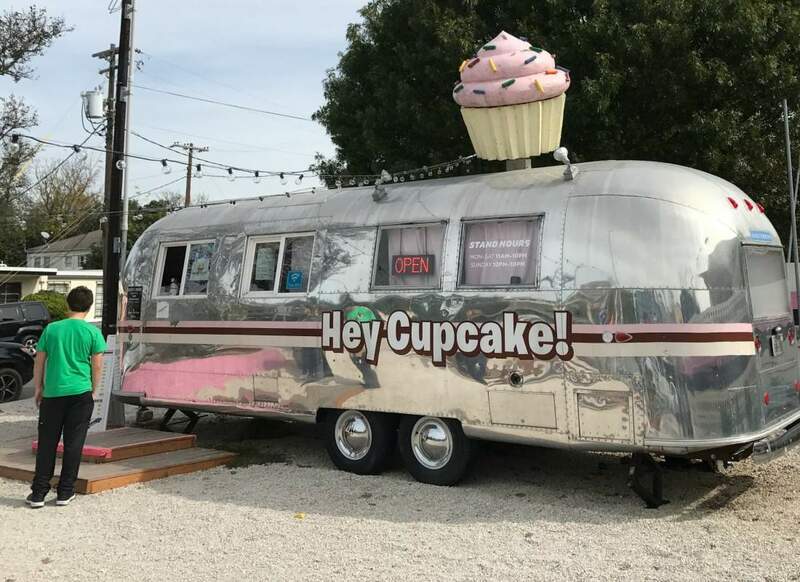 For sweet treats, there’s a food trailer park just down the street from Home Slice called Hey Cupcake! and the other direction is Amy’s Ice Cream where everyone makes their own ice cream creations. Food trucks are quite popular in Austin, so don’t miss the ones on South First, including Mellizoz Tacos, Little Thai Food, and Gourdoughs (doughnuts). If you want traditional Texas staples try Franklin Barbecue, Terry Black’s BBQ, or Lamberts Barbecue. For Mexican food head to Chuy’s, Fonda San Miguel, or Licha’s Cantina. If you or your kids love street art, Austin is the place to be. 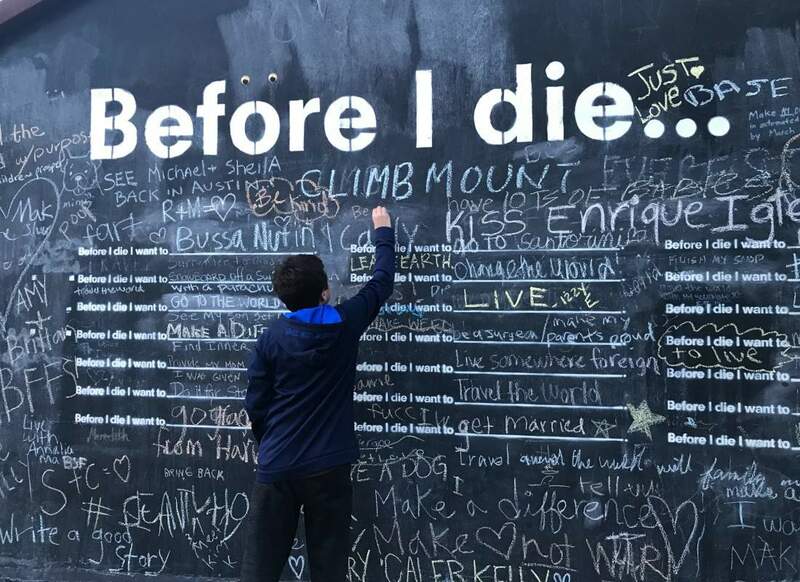 From the “Greetings from Austin” mural to the “Before I Die” wall where kids can write about their hopes and dreams, it’s a fun place to get a map and go searching for all the spots! My friend Rebecca at R We There Yet Mom, has a wonderful post that shares exactly where the popular murals can be found. Check it out here! 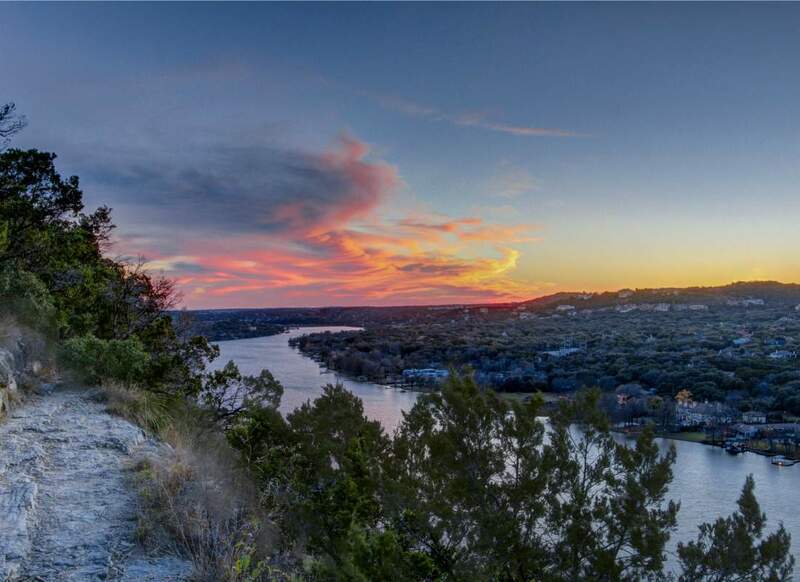 Mount Bonnell is the perfect spot for a panoramic view of Austin and the surrounding area. It takes about 10 minutes to climb to the top, but seeing the city from this perspective is stunning. Head over close to sunset before heading out for a bite to eat. The entire experience shouldn’t take more than 10 to 15 minutes. About 45 minutes from the city is this beautiful natural lagoon that has become quite popular. You have to make a reservation to visit Hamilton Pool and wear the right shoes because it’s a 10-15 minute walk to reach it. 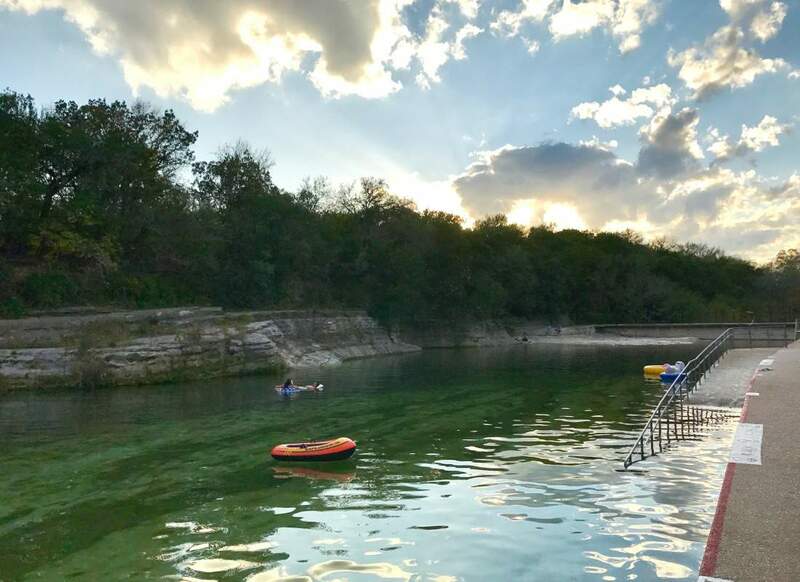 Other natural swimming spots to consider are Krause Springs in Hill Country with 32 springs and two swimming pools and Blue Hole at Wimberley, a section of Cypress Creek perfect for swimming, located in the Hill Country as well. 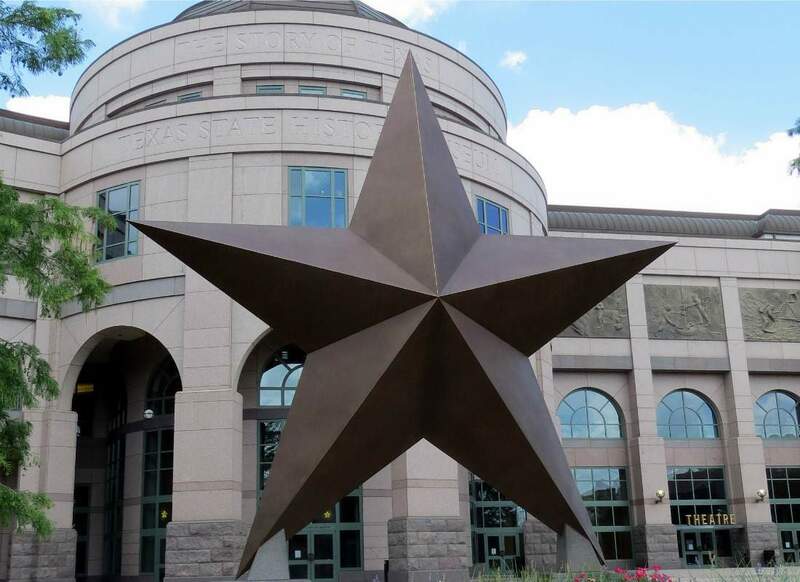 The Bullock Museum tells the history of Texas through its collection of artifacts, photos, and hands-on experiences. 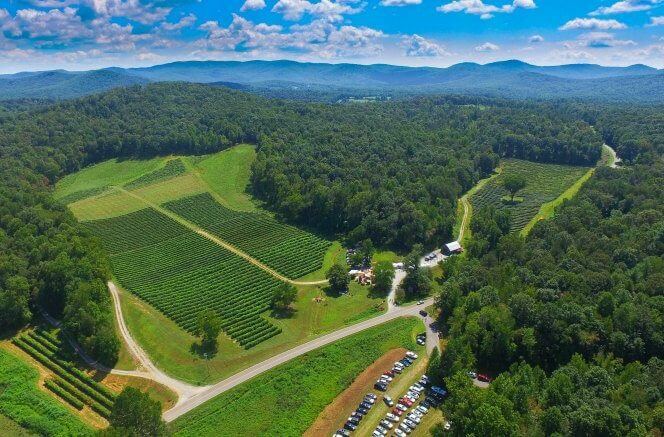 Kids will love the IMAX movie theatre, the La Belle shipwreck exhibition, and ability to trace the state’s history through interactive exhibits. The museum also features rotating exhibits on the history of other subjects such as computer gaming and a collectors’ gallery. We stayed at the Embassy Suites Downtown which has a convenient location and great free breakfast, other places to consider are the Four Seasons, The Omni, and The Driskill. 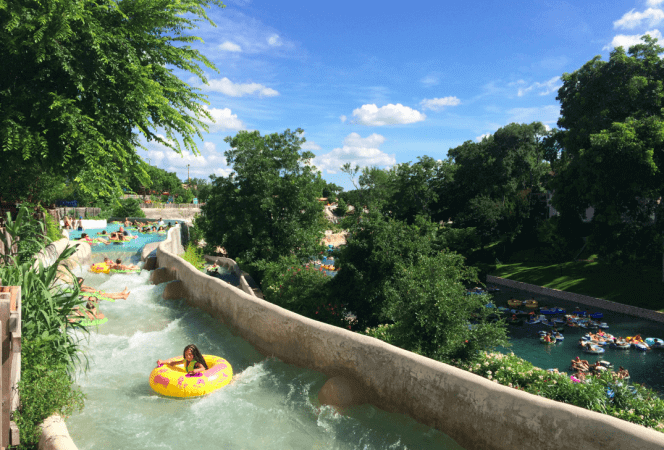 Hopefully, you’ve found more than enough ideas to entertain everyone during a weekend in Austin with kids, but if you’re still looking for fun things, check out this post by our fellow contributor Heidi: Top 5 Family Friendly Things to Do in Austin. · Southwest Travel, Travel in the U.S.